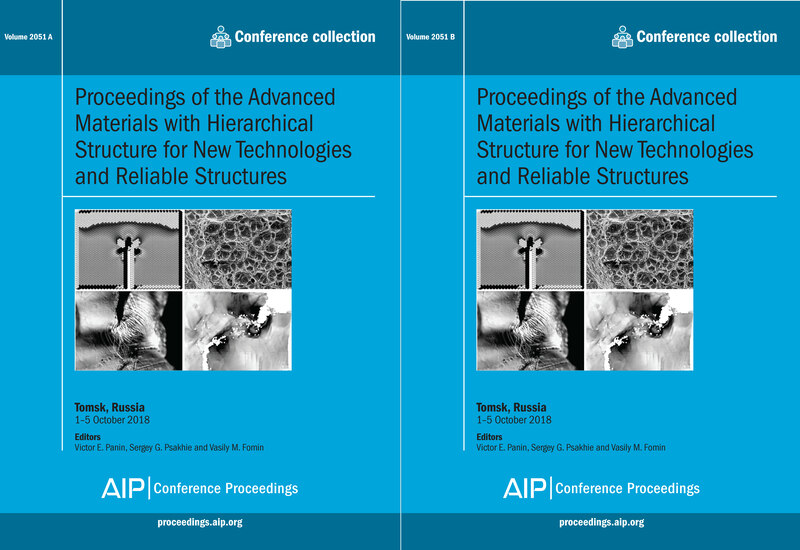 Summary of this volume: The international symposium "Hierarchical Materials: Development and Applications-2018" is a follow-up to the conferences on physical mesomechanics, which has been held since 1996. The current strategy of materials science development is based on a multiscale interdisciplinary approach whose applicability is now becoming more obvious. This new paradigm is integrated into the methodology of mechanics, physics, chemistry, informatics, life sciences, geology, and other branches. Modern industrial and engineering applications require that the multilevel, hierarchical organization of materials, structures, media, and systems of different origin must be taken into account. In fact, today the material must be considered as an individual structural level of a product or a structure. This enables an efficient exploitation of new opportunities offered by modern manufacturing technologies. These proceedings will be of interest to: Students, PhD student, researchers and lecturers both from academia and industry who are involved in the study of materials behavior under loading, materials design, materials treatment and processing. For further information about this volume: Please view the table of contents available on AIP Publishing's Scitation platform: Volume 2051 table of contents.